The group stage and the Round of 16 at the FIFA World Cup in Russia are behind us and now we have the best eight teams who will fight for the title, so let’s take the look at the updated odds on the possible winners. 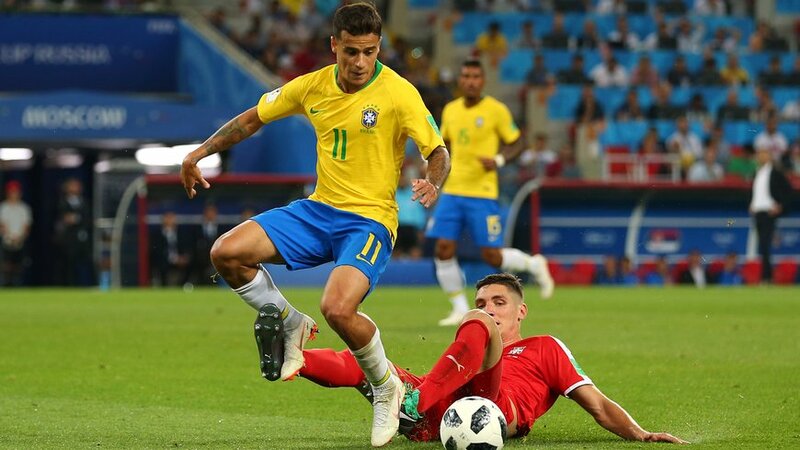 The Selecao is still the biggest favorite to win the World Cup for the sixth time, and it seems that they are playing better as the tournament is nearing to an end. Brazil beat Mexico in the Round of 16 without problems, but they will face the biggest test so far when they take on Belgium. Tite’s side is a favorite at +114, and if his team manages to eliminate the Red Devils, they can go all the way. The Blues knocked out Argentina in the previous round in one of the most exciting matches at the World Cup, and although we don’t expect to see seven goals in the upcoming tilt with Uruguay, France is a favorite at +100 to make it through to the semi-finals. Brazil or Belgium could be their rival in the semis, but Didier Deschamps’ men must improve in the defense before even thinking of winning the trophy here. The Three Lions emerged as the surprising third favorite after defeating Colombia on the penalty shootout in the Round of 16, and they should have an easier job against Sweden in the quarter-finals. England is at -105 to get a win over the Blue-Yellow and could face Croatia or Brazil in the semis, and it seems that the Englishmen have an excellent chance to make it to the finals, which would be their first since 1966. The Blazers have been one of the most impressive teams at the World Cup thus far, but they weren’t that impressive in the Round of 16 tilt with Denmark. However, they managed to beat them on penalties and now are +120 favorites to knock-out the hosts Russia in the quarter-finals. Croatia has a solid chance to repeat the nation’s biggest success and reach the semis, which would give them an opportunity to fight for the medal. The Red Devils showed great fighting spirit and character in a comeback 3-2 victory over Japan in the Round of 16, although many wrote them off when they were two goals down. Belgium passed the biggest test of their golden generation but playing Brazil for the place in the semi-finals is even the bigger one. If Roberto Martinez’s side defeat favored Brazilians, they can surely secure the first medal at the World Championships in the nation’s history. The Sky Blues already eliminated the European champions in the previous round and now they will try to do the same with the European vice-champions. Uruguay’s defense proved to be the best at the tournament so far, but Edinson Cavani will probably miss this clash due to a calf injury, and his absence is undoubtedly a huge hit for Oscar Tabarez’s side who will have to heavily rely on Luis Suarez. The quarter-final is likely Uruguay’s maximum at the moment. The Sbornaya defended excellently against Spain and managed to beat them despite having just one attempt on target when Artem Dzyuba converted a penalty. Russia later was better in the shootout, and if they display another impressive defensive performance, they can hope to knock out the Croatians as well. However, the Russians already made a surprise by making it this far and Croatia has what it takes to stop them in the quarter-finals. The Blue-Yellow made it to the quarter-finals for the first time since 1994 when they had better players, but the Viking blood that runs through their veins helped to fight their way to the best eight teams on the planet. England is a favorite in the upcoming tie, but Sweden has a positive record against the Three Lions, and although they don’t have Zlatan Ibrahimovic who usually scored goals against the Englishman, it wouldn’t be the end of the World if Janne Andersson’s side squeezes it to the semis.